WAY4 Merchant Wallet helps decrease the cost of payment acceptance, which is especially attractive for SMEs. Merchants can now share the generated QR-code via channels supported by their mobile device (SMS, email, messengers etc). They can also print out the code and display a physical version of it at checkout. The update applies to both static and dynamic QR-codes. The dynamic QR-code allows merchants to pre-define some parameters of the transaction, for example apply a discount or offer a product bundle at a fixed price. Now users can filter transaction history by operation type and period. It simplifies sales analysis for business owners and their personnel. WAY4 Consumer Wallet now supports KYC within mobile app in real-time. We have recently completed our first in-app KYC project for a client in Vietnam. This client can now remotely verify their users’ identity and safely provide advanced services, for example increase transaction limits or provide access to wallet account withdrawal. The online KYC option means customers can skip a visit to the branch, thus cutting the company’s operational costs. We can make WAY4 compatible with the KYC standards of any other country. If you would like a proposal or cost estimate, please consult your BRM. To start the KYC procedure, users upload their selfie and a photo of an identity document, for example passport or driver’s license. The app sends both files to an external service for OCR/FR (optical character recognition/facial recognition). If both images feature the same person, WAY4 marks this customer profile as having undergone KYC. Users can now manage multi-currency cards in a more transparent and flexible way following developments to WAY Lifestyle Banking. The banking menu shows all linked accounts in their respective currencies and the total balance in the main currency. It is also possible to filter transactions by account. Users can also choose the preferred account for a fund transfer or bill payment. If the operation amount exceeds the balance of the chosen account, the app suggests a linked account in another currency. WAY4 will process the currency conversions due before completing the operation. The transaction history will show two separate entries, one for each account involved. We continue enhancing this stand-alone channel solution, built on an innovative platform and featuring a unique design. Users can now pay for more than one bill at a time, confirming them all with a single OTP. WAY4 Lifestyle Banking can now instantly capture messages from external systems (CRM, Core Banking, etc.) and pass them to the app user as push notifications. It includes alerts about processed transactions, outstanding bills and upcoming loan payments, new product promotions, special offers and other messages. Thus, you can serve useful information to customers more frequently. Push notifications are much cheaper than traditional SMS and can save on operational costs. If the mobile device is turned off or not connected to the Internet, or its settings forbid push notifications, WAY4 can send the same message via alternative channels, such as email or SMS. WAY4 Lifestyle Banking now shows upcoming payments and other messages (e.g. recurrent payment, monthly loan repayment, deposit interest accrual, upcoming card expiration dates, SMS fee collection) in a special section of the transaction history. They are usually displayed at the top of the list, and their dates are highlighted in the calendar. There you can also display marketing notifications or personal offers to a targeted customer segment in this way. Issuers can now add mVisa QR-code payments to their mobile apps, by integrating our WAY4 mVisa Issuer SDK. Despite its name, our solution works with cards of Visa, Mastercard and any other payment system. When using the new functionality, buyers either scan the merchant’s QR code or manually enter the merchant ID. Manual entry is crucial in countries where feature phones are more common than smartphones, such as Kenya, Indonesia or Venezuela. Then the buyer chooses the preferred card for this payment. It can be a card issued by their mobile app provider or a linked card from another issuer. The last step is to type in the payment amount and confirm the transaction. 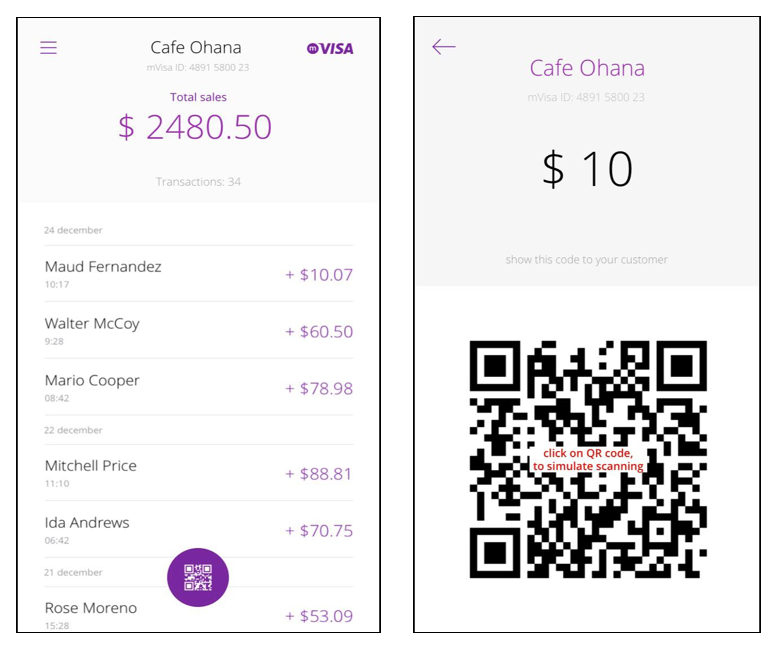 WAY4 can also process payments that involve closed-loop QR codes. For issuers this functionality is part of WAY4 Consumer Wallet. For acquirers, the acceptance of QR-code payments is part of WAY4 Merchant Wallet. This acquiring solution works with mVisa, closed-loop and Alipay QR codes. WAY4 digital channels now support the direct debit functionality, also known as pre-authorized debit or automatic bill payments. The banking menu provides the list of possible payees – utility providers, tax or traffic authorities, insurance companies, etc. The user selects which bills to pay automatically and which card or account to use for each company. When a bill or payment request arrives, WAY4 automatically debits the selected account for the requested amount and sends a push or SMS notification to the user. If the transaction fails (for instance, because of insufficient funds), WAY4 repeats the attempt and then notifies the customer via push message or SMS. Cardholders can now request and receive statements from core banking systems via WAY4 web and mobile banking apps. This helps to relieve the pressure on bank branches to produce paper statements and perform routine customer requests. And frees up branch staff to focus on high-margin products and premium customer segments. The cardholder can choose to receive the documents via e-mail or download them straight from the app. Users can now accept cross-border P2P money transfers via web and mobile banking. It covers Western Union, RIA, MoneyGram, IntelExpress and similar systems. This functionality means that customers do not need to visit physical agent locations, remember opening hours or wait in line. It may also decrease the workload and costs associated with in-branch customer service. The feature allows you to integrate with the money transfer systems directly or through an aggregator/PSP. For example, one of our clients has launched remittance acceptance by integrating with a large PSP present in 29 countries. A future WAY4 release will enable users to not just accept but also initiate remittances via web and mobile. Now WAY4 supports the complete customer engagement cycle for Apple Pay. 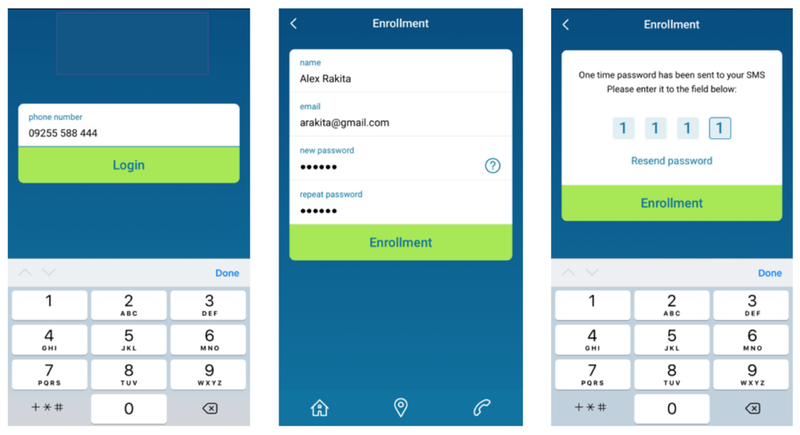 Without leaving our mobile banking app end-users can see promotion screens, add cards to Apple Pay Wallet and receive confirmation messages. For each card in the user’s list, we have added a colorful icon. It indicates whether the card is linked to Apple Pay Wallet or not. Now your clients can watch tutorials encouraging them to try new functionality. Whenusers open the mobile banking app or certain menu item, they would see a sequence of promo screens. It serves toexplain complex features step-by-step or highlight special offers. This WAY4 release includes explanation screens for HCE contactless payments. Our team can create more tutorials per request. You can also produce new tutorials in-house. We have been working on a more specific wallet model known as “financial inclusion wallet”. Its functionality partially coincides with our solution for tech-savvy and finance-savvy users but also supports specific requirements of certain countries and markets. This wallet app works for both KYC and non-KYC customers. The latter get access only to basic features and lower operation limits, while KYC users enjoy the extended functionality and fewer limitations. Current KYC procedure requires the user to visit the branch and fill in some personal information. We plan to support more KYC methods, such as scanning ID or linking the bank card. Bill payments – wallet users can search for outstanding bills by their phone number. Payments are done using the wallet account.They can also choose a service provider from the list, subscribe to bill notifications and set up recurring payments. Money transfers by phone number– the sender inputs the recipient’s number or chooses it from the contact list. Someone who is not a wallet user would need to download the app first, register and receive the transfer to the new wallet account. Money transfers by QR code. 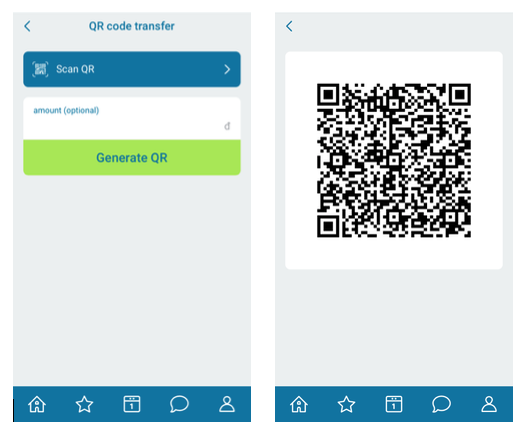 The recipient can use the wallet app to generate a QR code for the due amount. The sender uses his/her app to scan the code and complete the transaction. Option for wallet cash out – users can transfer wallet funds to their linked cards/accounts and then withdraw cash via ATMs, bank branches, offices or agent outlets. Transaction history and analytics – users can view their financial status and purchase history in the form of pie-charts. 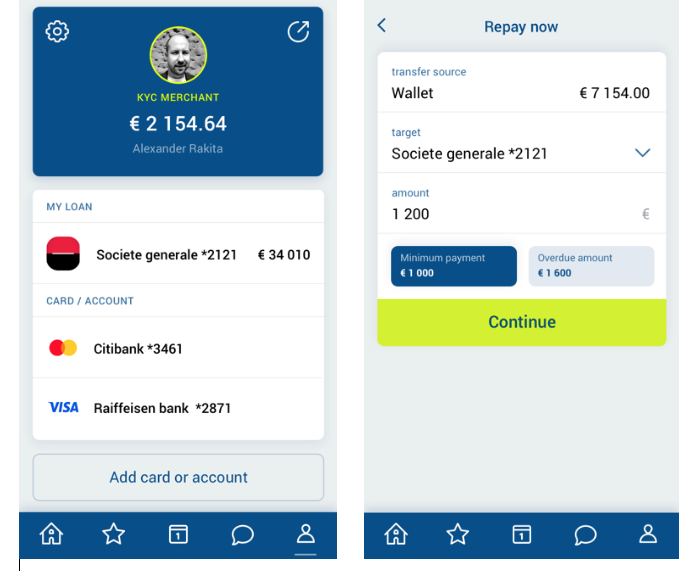 Multi-functional home screen – it displays the wallet account balance, various notifications and a selection of wallet functions. Additional info services: geographic map, feedback forms, and push notifications about transactions. Loan management - wallet users can request the issuance of a loan from 3rd party financial service providers. The borrowed funds are added to the wallet balance. The loan itself will be visible in the wallet menu and can be repaid using wallet account. The app supports every step of loan lifecycle: disbursement, KYC procedure, loan repayments. This release includes REST API for integration with 3rd party lenders. Also, users can link loan accounts of other people – relatives, friends – and repay such loans as their own. We are also working on a separate solution called USSD Wallet. It facilitates low-cost financial inclusion in the emerging markets with undeveloped infrastructure, as well as the agency banking business model. Unlike the smartphone-oriented payment apps that require an Internet connection and contactless interface (NFC or QR scanner), USSD Wallet works on the majority of mobile devices, including feature phones with no touch screen. In addition, the USSD messages are a cheaper alternative to SMS. When users navigate your web/mobile banking menu, their path is tracked as well. However, all sensitive information – e.g. transaction amounts – are not provided to Google Analytics. Now users can prepay a loan – fully or partially – before the due payment date. The source of funds can be any customer account or a linked card. We added new features to our classic web and mobile banking. After a service provider assigns a unique account number to your customer, the latter can save this information in the web/mobile banking app. WAY4 will receive all the subsequent invoices automatically. They are stored until the user can review and approve/decline the payment. Now users can request money from someone they know – by specifying this person’s phone number and the required sum. Both parties see this request in their WAY4 mobile banking app. They can exchange related messages and modify the amount, if necessary. People who don’t use the same mobile banking app would receive such a money request via SMS. If they follow the specified URL, they can confirm/deny the operation and choose their payment method. Now users can enable NFC for a linked card. The app becomes ready for contactless payments instantly. The operations history indicates when the contactless mode was used and when not. If the customer applied this feature to multiple cards, one of them should be chosen as the default instrument for NFC operations. We have integrated WAY4 with more payment hubs, including the largest one in Eastern Europe. It means more service providers whose invoices and bills can be paid from the mobile/web banking app. Our integration plans take into account which hubs are the most requested by our customers. Now our app can generate a special QR code for cash in and cash out operations. Your customer just needs to choose a card and then specify the cash amount. To complete the transaction, the ATM scans the QR code from the phone screen. The customer can use any the bank’s ATMs. The customer can share this QR with a friend. The user can send messages via the app. Bank clerks can receive them and reply via e-mail. These replies are instantly shown in the mobile/web app, in the form of chat. Both parties can also send various attachments to each other. Currency rates of the bank are displayed to the customer and updated in real-time. Now users can order and manage instalment cards in the web and mobile banking menu. They see the instalment operations history, applicable limits and commissions, and – of course – the due date and amount for next payment(s). The app also highlights every case of delinquency and fines to pay. Now users see several independent balances, each in its own currency, for every multi-currency card. The transaction history clearly shows which account, in its respective currency, was debited for each purchase. The app can notify users on a pre-approved loan by displaying a message or promo banner. The bank customer can confirm instant loan issuance, or decrease the loan amount first, or completely decline the offer. You can show personalised offers based on the KYC data (on the customer profile and behavior analysis). Also the platform allows to present your offers as pop-up messages. Our mobile app is able to analyze the incoming SMS to grab a one-time password and automatically insert it into the confirmation form. Push messages can appear within the mobile banking app to notify customers on completed purchases. (The push functionality should be enabled on the device in the first place). Now your customers can request money from people in their contact list without leaving the messenger interface. Both parties are identified by phone number. The chat bot helps the user choose a person from the contact list, specify the transaction amount and add a comment. The potential money sender receives the request via SMS. If they follow the specified URL from SMS, they can confirm/deny the operation and choose their payment method.